As an avid reader, I come across a plethora of words I don't know, but my iPhone is always right there to help figure out their meanings. If you're reading an article or email directly on your iOS device, just highlight the word in question and tap on the "Define" option. If you're reading a physical book or hear someone say a word or phrase you're not familiar with, finding the definition is as easy as searching on Safari or on one of your downloaded dictionary apps. However, if you jailbreak your iOS device, you can make searching for definitions ever faster by adding a definition option to Spotlight search. Just head into Cydia on your jailbroken iPhone and download/install SpotDefine. Pulling down anywhere on your home screen below the status bar and above the dock will bring up the Spotlight search bar up top. This feature lets you search through apps, notes, contacts, and most other content on your device, but it won't give you definitions. 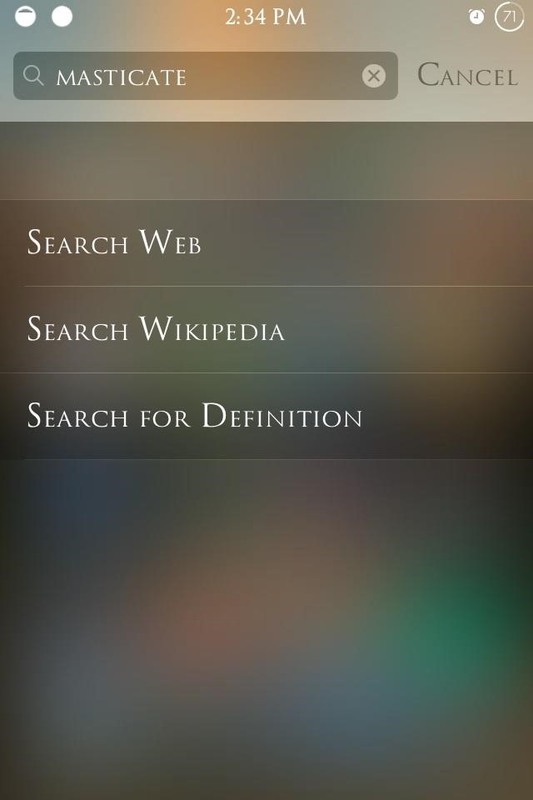 It will give you options for "Search Web" and "Search Wikipedia," but SpotDefine adds a specific option called "Search for Definition" that cuts the middleman out of the equation. Just type a word into the Spotlight and check out the new "Search for Definition" option. It will immediately show you a bunch of different definitions from various online dictionaries. 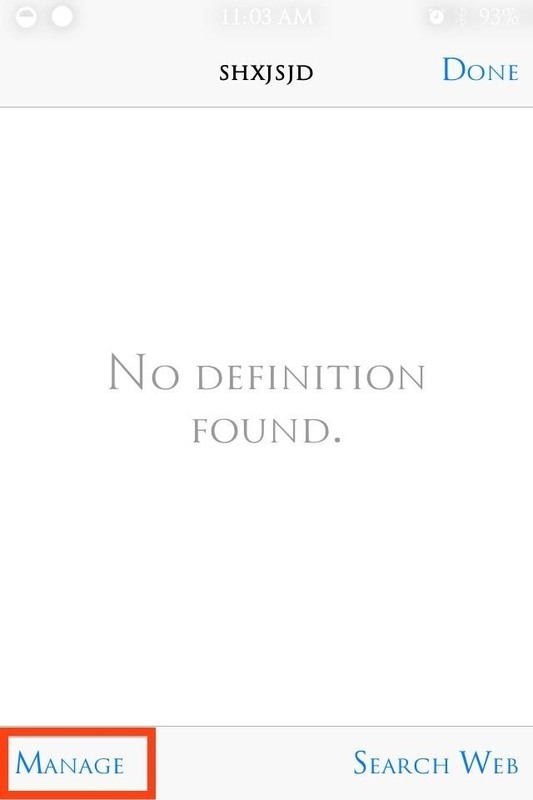 If you get a blank screen when looking up a word, it's because we haven't added any dictionaries yet. 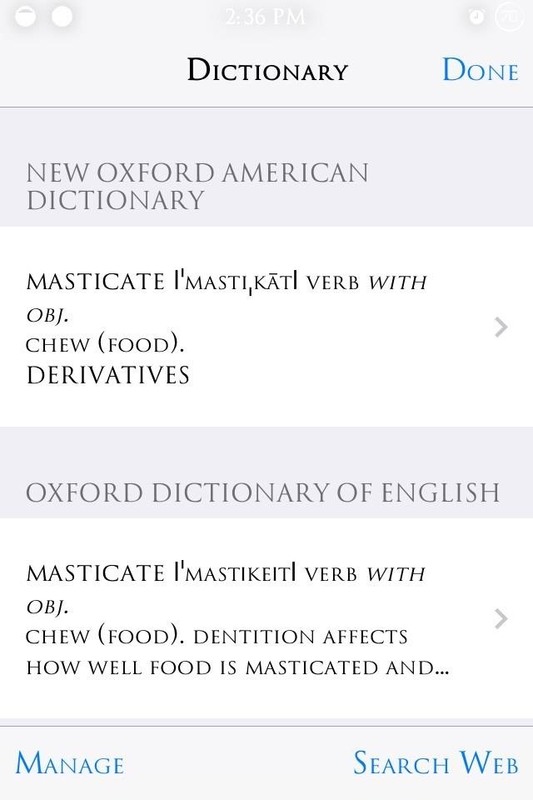 Select the "Manage" option in the bottom left of the blank screen and select the dictionaries you want to apply. 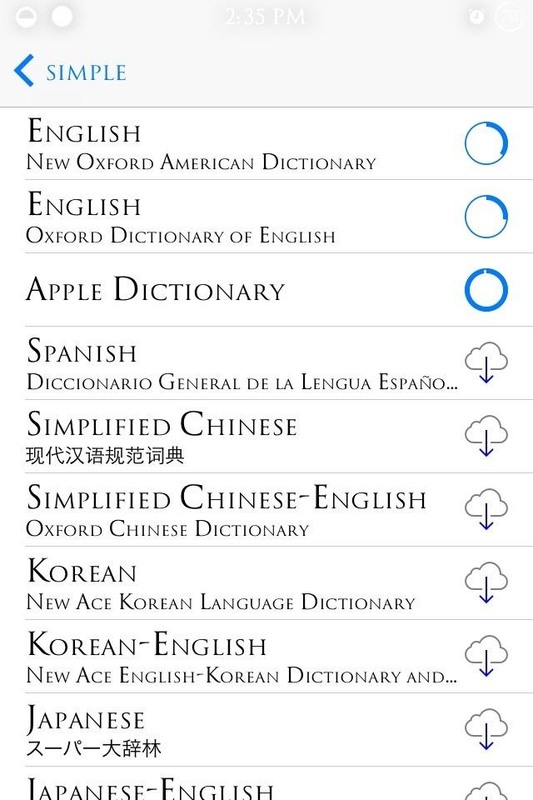 After your dictionaries are downloaded, you can then look up words offline with no problem. Done and done! For more useful iOS tweaks, head into our Cydia hacks to see what else you can do with your jailbroken iPad, iPhone or iPod touch..